We Specialize In Serving Our Veterans! 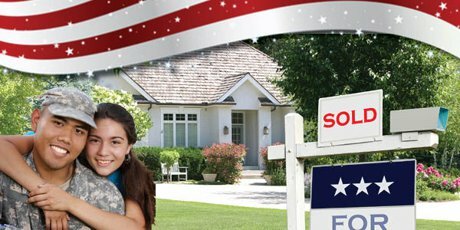 At Gulf Coast Home Experts it is our belief that every man and woman who has served to protect and preserve the American Dream should also enjoy one of the fundamental components of that dream, Home ownership. We pride ourselves in offering the various programs and resources available to make home ownership a reality for veterans. Your military service has earned you the right to apply for a VA guaranteed home purchase loan that requires no down payment. Your VA Loan is a mortgage loan issued by approved lenders and guaranteed by the federal government. Since its inception, the VA Loan program has helped place more than 20 million veterans and their families into their dream homes. As part of our mission at Gulf Coast Home Experts to serve you, we've created the "Heros to Homeowners" program, that is above and beyond your VA benefits. When combined with your VA Loan it allows service members and veterans to take advantage of even more substantial cost savings. When buying a home with us and using our military-friendly mortgage partners there are no cost pre-approval, no appraisal fee, no points, and credit back towards closing cost. Home must be the veteran’s primary residence. Home must be a single family attached or detached home, townhome or condominium. New homes must have either ENERGY STAR certification or HERS Index score of 75 or less. The home must remain as the veteran’s primary residence for at least three years, and the Veteran borrower must occupy the home within 60 days after loan closing. Records include DD214/Separation Documents, Personnel Records and Medical Records. Visit the National Archives to request your military service records online, by mail, or by fax.